In the box you will get a pop up butterfly net and a feeding pipette, plus a certificate to for 5 Painted Lady caterpillars and their food which can be redeemed online or by post (small return postage charge required). Complete care and instruction guide. Raise 5 Painted Lady butterflies while learning all about metamorphosis with this award-winning Butterfly Garden! See each caterpillar's transition as it matures, changes into a chrysalid, and finally emerges as a Painted Lady butterfly! After observing your butterflies, experience the joy of releasing them into your garden! 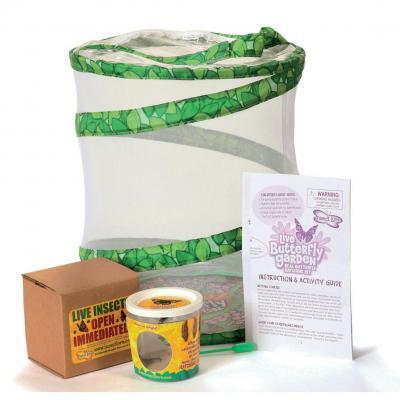 Includes colorful habitat, coupon for 5 butterfly larvae with special food, and complete instructions. Net can also be used for other insects including stick insects. NB Caterpillars are only available from March to September. Sorry, this item is currently out of stock. 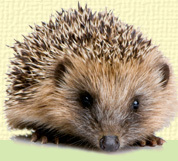 To find out when we expect this item to be back in stock, please email pete@wildforms.co.uk or use our contact form.